The Virginia Digital Emergency Network (VDEN) was established on October 1, 1995 to provide amateur radio-based digital communications for supported agencies during emergencies, exercises, and other public service events. VDEN is designed to route traffic to and from the Virginia Department of Emergency Management (VDEM) or the Virginia EOC (VAEOC) on behalf of supported Eoc’s and other agencies. The VDEN system may also be used to send and receive digital traffic on behalf of the National Weather Service (NWS) Skywarn program. Other VHF and UHF frequencies at 1200 and 9600 baud may also be used with coordination to make interconnections within the VDEN network and satisfy the needs of supported agencies. UHF ‘backbones’ are designed to forward digital traffic between regions of the state where reliable UHF propagation is possible. A backbone frees up the primary user frequencies so that the system will operate more efficiently and effectively. Out of necessity, forwarding also takes place on 145.730 MHz and other VHF frequencies as needed. Since VDEN is a forward-looking network, other forms of high-speed technology may be utilized to augment the network, particularly in times of emergencies. As an ‘open’ amateur-based digital network, VDEN welcomes all amateurs, regardless of affiliation, who are willing to be system operators or ‘sysops’ of BBS stations and interconnecting nodes. Amateur radio operators across the state provide their expertise, equipment, and volunteer many hours to help maintain their stations or respective segment(s) of the network. Stand-alone TNCs, either VHF and/or UHF, provide the interconnecting capabilities of the VDEN network. Until suitable UHF infrastructure is established locally, new users are encouraged to setup nodes on 145.730 MHz at 1200 baud. New nodes serve as ‘relay stations’ that forward traffic into and out of various areas of the state where the network needs improved coverage or to provide redundant digital capabilities. During emergencies, exercises, and other events, portable nodes can provide needed connections to the main VDEN network. A forwarding path to the VAEOC BBS (N4VEM) should be defined. Traffic placed on a participating BBS should have forwarding established that sends and receives traffic to N4VEM or to a neighboring BBS that will forward digital traffic to and from N4VEM. To the extent possible, direct BBS-to-BBS forwarding should be used. Sysops should shut down routine bulletin forwarding during emergencies, exercises, and other events as indicated by the digital coordinator(s). Sysops should follow the DMARC practice of not forwarding bulletins between 1800 hours and 2300 hours local time. This practice permits individual amateur radio operators to have better access to the network on user frequencies. This practice also reduces potential interference to ATV operators since 440.950 MHz is in the middle of this UHF sub-band. BBS stations should carry ARES, RACES, ARRL, VANET, and VDEN bulletins. Other bulletins, such as the @USA should be forwarded on frequencies other than 145.730 MHz. Exceptions to the @USA bulletin forwarding on 145.730 MHz will be allowed only during periods of non-emergencies, exercises, or when stations have no other means of forwarding, such as equipment failures. BBS sysops should ensure that any digital traffic messages addressed to sysop @ vanet goes only to sysops and nodeops participating in the VDEN system. This is addressed as P$ Sysop @ vanet. Strive to operate as a ‘good neighbor’ in a digital (packet radio) network in a cooperative and collegial manner following good engineering and good amateur radio practices (FCC Part 97.101 General Standards). As appropriate, build, maintain, and operate a ‘robust’ station that is capable of handing volumes of digital radio (packet) traffic during emergencies. Typically such stations consist of a PC tower with an adequate hard drive and RAM, VHF and/or UHF radios, a TNC, battery and APC backup, leading to a omni or yagi antenna of sufficient height and gain to make connections to nearby BBS stations and/or nodes. As appropriate, keep a general operational logbook as the sysop/control operator of a digital amateur radio station as defined in FCC Amateur Radio Service, Part 97, Subpart B – Station Operation Standards, §97.101 through §97.109. Note: To ensure that digital traffic is forwarded during emergencies and exercises, bulletins must not be forwarded that would interfere with ARES/RACES traffic. Time triggers can be used to modify bulletin-forwarding schedules. Multi-node forwarding should not be done on 145.730 MHz unless no V/UHF backbone(s) exist to forward traffic on the primary user frequency. VDEN does not restrict BBS stations to so-called ‘special interest’ BBS stations. Full service BBS stations and stand-alone nodes are welcome to participate in VDEN, and in doing so, are expected to follow VDEN guidelines. To make special accommodations during emergencies, exercises, and other events or circumstances, exceptions should be coordinated with the digital coordinator(s). All users should have access to nodes. The TNC should be programmed so that the node broadcasts a node list every hour. Multi-port nodes and stations that operate on 145.730 MHz and another VDEN VHF and/or UHF frequency should be setup to forward on a port other than the 145.730 MHz port. When multi-port nodes as described above have equipment failure, they may forward digital traffic on 145.730 MHz until problems have been resolved. Strive to operate a node as a ‘good neighbor’ in digital (packet radio) network in a cooperative and collegial manner following good engineering practices. As appropriate, keep a general operational logbook as the sysop and control operator of a digital amateur radio (packet) station as defined in FCC Amateur Radio Service, Part 97, Subpart B – Station Operation Standards, §97.101 through §97.109. VDEN meetings, exercises, and other events will be held as possible with regard to family requirements, work schedules, and other responsibilities. At this time, additional membership requirements have not been established. Meetings are held as needed. No dues are collected. As needed, a more formalized organization may be considered to meet the growing needs of the membership. Generally most members contribute to the VDEN system by providing their expertise, time, and equipment that consists of computers, VHF and UHF transceivers, TNCs, power supplies, antennas, coaxial cables, and other ancillary items to keep their stations operational. Overall, the need to reconcile problems has been minimal in the VDEN system. This is because many of the radio operators who participate in VDEN have a special interest in emergency communications and strive to do what is in the best interest of the network and supported agencies. The amateur radio community prides itself on the ability to ‘police its own.” VDEN radio operators and sysops will oversee the operation of the system and are encouraged to do so in a cooperative and collegial manner. On rare occasions, it may be necessary to request that a radio operator who has equipment that causes problems for the network to turn off his or her BBS station(s) and/or node(s). From time-to-time transceivers, power supplies, and/or TNCs may have problems or fail. If problems cannot be resolved locally, then the system coordinator may have to lockout a station that is not operating properly and/or not following VDEN guidelines. Such measures are done as a last result to ensure network functionality, and thus, the smooth, unimpeded flow of digital traffic throughout the network. As the VDEN system grows and develops, the steering committee will review guidelines to modify or improve the network and the connections to other traffic networking systems, including WinLink, the Internet, and to make special accommodations as needed. Members are encouraged to provide constructive input that would improve the overall efficiency of the network. As technology advances, efforts will be made to improve and/or enhance the VDEN system. The Steering Committee will work with members to help keep the network operating smoothly and help to resolve any technical or other problems. ARES/RACES is an amateur radio-based means of sending emergency radio traffic on behalf of a supported agency. The VDEN system provides the capability to send traffic electronically much like email to and from VDEM or the VAEOC and supported agencies. The amateur radio call sign for the VAEOC is N4VEM. Once activated and on the air at a supported agency, amateur radio operators using packet should check-in to N4VEM by sending a ‘check-in’ packet message. Spaces are between the st and n4vem and on each side of the @ sign. Amateur radio station call sign and name/call sign of the operator. Date and time of activation and time of activation message to VAEOC. Name of supported agency, name and title of person(s) that will have traffic messages to the VAEOC. The route by which messages will be routed back to the amateur radio operators at the supported agency, i.e., packet, specific VHF repeater, HF, etc. Amateur radio communications capabilities: packet on VDEN, voice on VHF, UHF, and/or HF. As of 1200 noon local time, 11 August 2007, Ocean City EOC activated ARES/RACES support. We are providing emergency communications for Peppermint Patty, the Emergency Manager, or her designee. Since packet radio traffic is typically not handled by voice, a standard email or memo-type format is straightforward and better understood by served officials – both the sender and the recipient. Torrential rains from Hurricane Earl have flooded shelters at Hickory Road High School and Holly Hill Middle School, causing both schools to lose electricity, telephone, and Internet. Both schools are near full capacity as shelters, each housing approximately >125 evacuees with more arriving each hour. At this time we have a total of 235 evacuees. Please let me know the availability of these generators and when they might be transported to Ocean City. We can provide either gasoline or diesel. The supported agency (other than VDEM) may not readily have contact information of the agency that sent the message. The supported agency may had to relocate as part of Continuation of Operations or COOP and now has different telephone and fax numbers. The agency may have on-going recovery issues after their phone lines and Internet have been restored, and if included on the packet traffic message, the recipient of this message would have would have normal business contact numbers. Note: Times are important for agencies during exercises and actual emergencies. When a message was sent from one agency and received at another is important information that the management of served agencies will note when they reply to message traffic and/or send personnel and/or equipment, etc. to an incident site. Once connected to the local BBS that forwards to N4VEM, when prompted for the Title, City, and State of the packet message enter the jurisdiction name and the SitRep number, i.e., Ocean City EOC SitRep NR 2. This enables the amateur radio operators at N4VEM to identify the messages that are on their BBS by jurisdiction and situation report number. On occasion, circumstances may change at the affected jurisdiction where a particular situation report may have a higher precedence over reports sent earlier. If an emergency net has been activated on a repeater that both VDEM and the affected agencies can both access, then depending on the local procedures, packet traffic, both sent and received, can be acknowledged with a quick voice transmission. This eliminates the need to send an immediate response by packet (unless requested by the sender), and tends to help keep traffic handling moving efficiently. The response can be: “Ocean City EOC, this is the Virginia EOC. Your SitRep number 2 has been received at the VAEOC.” As amateur resources permit, a voice acknowledgment could occur on stated HF frequencies depending on propagation. Acknowledgement may also be given on a local or regional repeater that is in range of both the VAEOC and stations sending messages to VAEOC. Due to high traffic volume to the VAEOC, it may be necessary to implement a network wide policy of temporary suspension of packet acknowledgement of received messages, when the sending station also has voice or CW contact with the VAEOC. This policy would be announced and applied only to stations with multiple Amateur radio modes communicating with VAEOC. Any temporary suspension would also apply to all stations with redundant amateur ability, and their acknowledgment of message traffic received from VAEOC. For any station that has no other modes of amateur radio communications except packet, acknowledgements would continue by packet. Because of the central coordination role of VAEOC, traffic volume may delay response time for acknowledgements. Acknowledgements should be given only to traffic containing agency-generated messages, e.g. local EOC check-ins, local EOC or agency traffic. Also note that replies may be sent by responding VAEOC staff and their coalition of supporting agencies through means other than Amateur Radio. Thus a message acknowledged as received, may have a response given by means other than packet; and no reply by packet would be necessary. 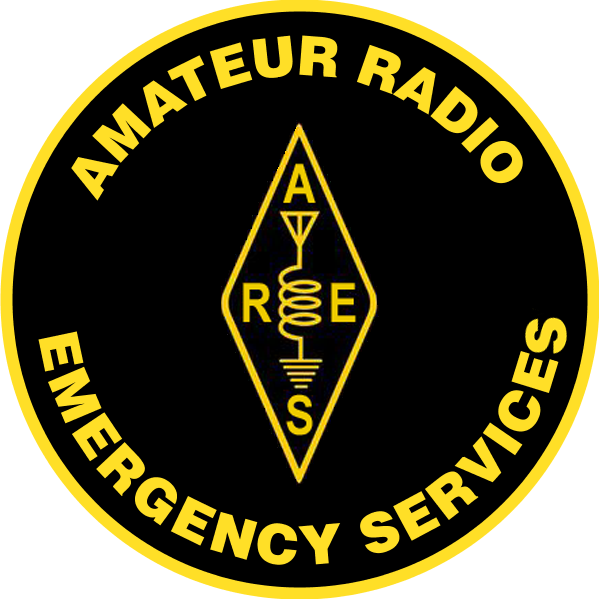 The best way to learn what procedures work and don’t work for an agency or agencies supported by amateur radio packet operators is to have training and to conduct exercises that pass packet messages for a simulated emergency. In the past exercises that involved fictitious scenarios, such as a sandstorm, locust attack, or other ‘disaster’ have been helpful to test and refine capabilities and procedures. Supported agencies, such as an EOC, can be ‘activated’ so that amateur radio operators can become familiar with the radio equipment, computers, software, and procedures used by the staff of the agency. Realistic exercises can also find areas that need improvement, whether its equipment or procedures. Packet traffic can be written before the exercise so that radio operators can have as much time sending, receiving, and acknowledging traffic rather than asking for an agency head to produce traffic for the simulated emergency. Please report any problems with this website to the webmaster. © Copyright 1995-2015, Virginia Digital Emergency Network. All rights reserved.